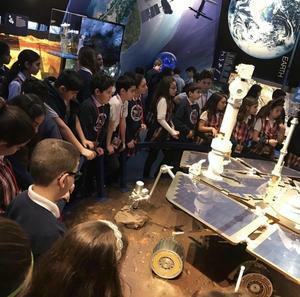 5th Graders Visit NASA Jet Propulsion Laboratory (JPL)! Our 5th graders enjoyed a field trip to the Jet Propulsion Laboratory! After an informative tour, the students had the opportunity to watch as a Mars rover was being prepared for its launch in 2020. Another great educational experience with Chamlian!